Description: 533soft Icon Changer can change the icon embedded in a executable or icon file. This program supports all files with the extensions .exe, .dll, .cpl, .ocx, scr, .ico. You can change the icon of these files easily and quickly. The executable file size doesn't change. The size of the new icon should be either equal or smaller than the previous one. This software supports compressed exe file. Description: Adsen FavIcon is a simple favion freeware creator that lets people make a favicon ico for their website, which shows up in IE's favorites. It can use either bmp or jpg files, and will convert them to ico format using the size and color quality you choose. Not only can you create fav icons, but it can also be used for creating icons for programs. This favicon software comes with notes on what settings to use for making fav icons. Description: Any to Icon provides you with a wizard-style converter for producing attractive Windows or Mac OS icons from images. Additionally, it allows extraction of icons from libraries and saving them as individual icons in selected folders. Any to Icon supports all popular graphic formats, including BMP, WBMP, JPEG, GIF, PNG, PSD, TIFF, XPM, XBM, ANI, and CUR. Output configuration settings include icon size, color depth and transparency. 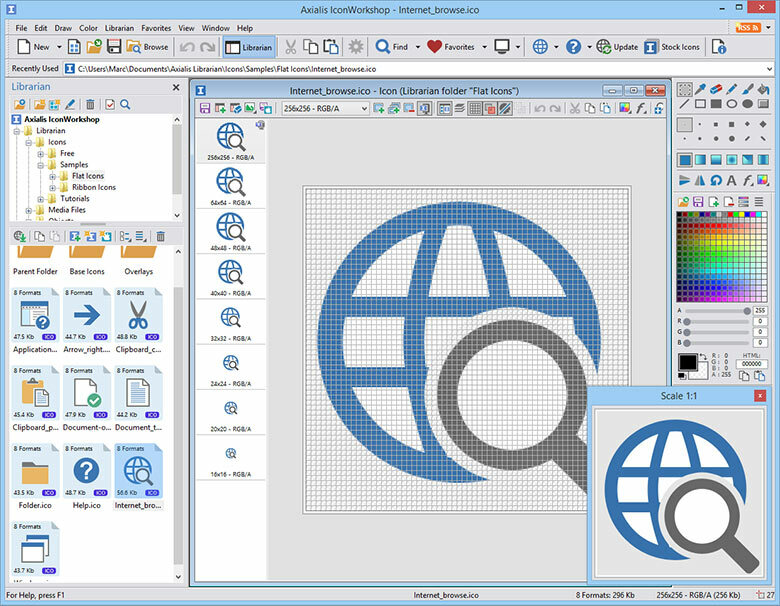 Description: Use the industry standard to create, extract, convert, manage icons for Windows, MacOS and Toolbars. Supports formats up to Windows Vista 256x256 PNG compressed and OSX Leopard 512x512. Use drag and drop to easily make attractive icons from various image objects in seconds. If you are a developer, you can create and edit icons in image strips for toolbars. Features Visual Studio, Photoshop and Illustrator plugins. Fully integrated workspace. Description: This application,"biclone", is a utility that refreshes the icon Cache for promotion of home exercise equipment. You may have noticed that sometimes the Desktop and Windows Explorer start to display the wrong Icons for some file types. Description: This application,"browndot", is a utility that adds an icon sub-menu to the right-click menu for promotion of home exercise equipment. MyFolder Free adds a sub-menu of folder icons to the right click menu. Description: This application,"bluecircle", is a desktop utility for curve plotting in promotion of stationary cycle and other exercise and fitness equipment. This program is an advanced curve plotting application for mobile Java devices. It supports plotting multiple explicite, polar or parametric function curves. Description: This application,"bluedot", is an icon editor for promoting home exercise equipment. ABC Amber ICL Converter is an advanced tool to extract icons from your ICL (Icon Library) files and convert them to any graphics format you wish (BMP, WMF, EMF, ICO, JPG, GIF, PNG, TIFF, PCX, PCC, DCX, PBM, PGM, PPM, TGA, etc). Description: This application,"bluegreencircle", is a desktop utility for extracting icons in promotion of home exercise equipment. Extracts icons or icon arrays from files (EXE, DLL, OCX, etc) with the ability to scan folders to search for EXE, DLL, OCX files, which contain icons.